Would you prefer to: 1) work the same number of hours and earn more money, or; 2) work fewer hours and earn the same money? According to Geert and Gert Jan Hofstede this question can help us ascertain whether a culture is “feminine” or “masculine”. The Hofstedes are academic researchers who study the influence of national cultures on organizational behavior. The Hofstedes write that there are five basic dimensions of culture: 1) power distance — the degree of equality/inequality in a culture; 2) individualist/collectivist continuum; 3) masculine/feminine; 4) Uncertainty avoidance — the degree to which we believe that what’s different is dangerous; 5) short-term/long-term orientation. I’ve written about the first two previously (here and here). Today, let’s talk about masculine/feminine. I’ll cover the other two in the near future. As with their other dimensions, the Hofstedes develop a scale (MAS) and rank order 74 countries. The five most “masculine” countries are Slovakia (MAS = 110), Japan (95), Hungary (88), Austria (79), and Venezuela (73). The most “feminine” countries are Sweden (MAS = 5), Norway (8), Netherlands (14), Denmark (16), Slovenia (19). The United States has an MAS score of 62, making it the 19th most “masculine” country on the list. The masculine/feminine dimension is the only one of the five dimensions that is not correlated to national wealth. In general, wealthier nations tend to have smaller power distance (more egalitarian), lean toward individualism, are more comfortable with uncertainty, and have a long-term orientation. The masculine/feminine dimension, on the other hand, has no relationship to wealth. We see rich and poor masculine cultures and rich and poor feminine cultures in approximately equal proportions. In very general terms, masculine cultures are about ego, feminine culture are about relationships. In masculine cultures, status purchases (expensive watches, jewelry) are common and people buy more nonfiction books. In feminine cultures, people buy more products for the home, invest more in do-it-yourself projects, and buy more fiction. In masculine societies, failure at school is a catastrophe and may lead to suicide. In feminine societies, school failure is a relatively minor incident. In masculine societies, competitive sports tend to be part of a school’s curriculum; in feminine societies, they are extracurricular. In the workplace, the masculine/feminine continuum produces important differences in work content and management styles. In masculine cultures, we might hear people say, “I live to work”. In feminine cultures, we’re more likely to hear, “I work to live”. Answering the opening question (above), masculine societies tend to prefer more salary for the same hours; feminine societies prefer the same salary for fewer hours. Job enrichment also varies by culture. In masculine societies, enrichment largely means more opportunities for advancement, recognition, and challenge. In feminine societies, enrichment is more about relationship building and mutual support. In feminine cultures, small is beautiful. In masculine cultures, bigger is better. 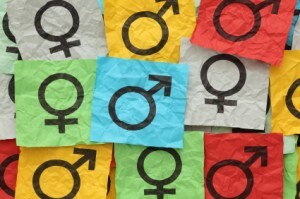 In feminine societies, careers are optional for both genders. In masculine societies, careers are mandatory for men, optional for women. You can find the Hofstede’s book here.